I’m a new Jamberry Nails Consultant!! Hi there everyone. I received my first set of Jamberry Nail Wraps a few weeks ago and I have to say that I LOVED them! Once I applied the wraps I loved them even more. 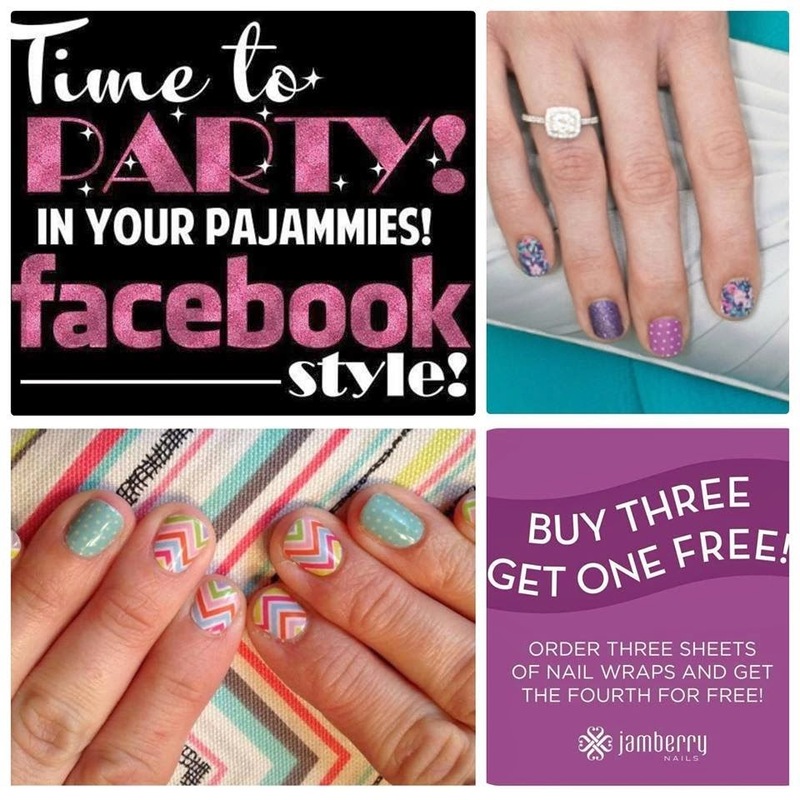 So much in fact that I immediately signed on as a consultant and you can find my website at http://getprettynails.jamberrynails.net/. The first three orders between now and June 30th, 2014 that include the Buy 3 Get 1 Free deal or 3 or more bottles of Nail Lacquer will receive a bonus set of nail wraps from me OR a 2 month gift subscription to the RRR Monthly Ribbon Club ($18 value). If you would like any additional information, please leave a comment below. This offer is for US customers only. 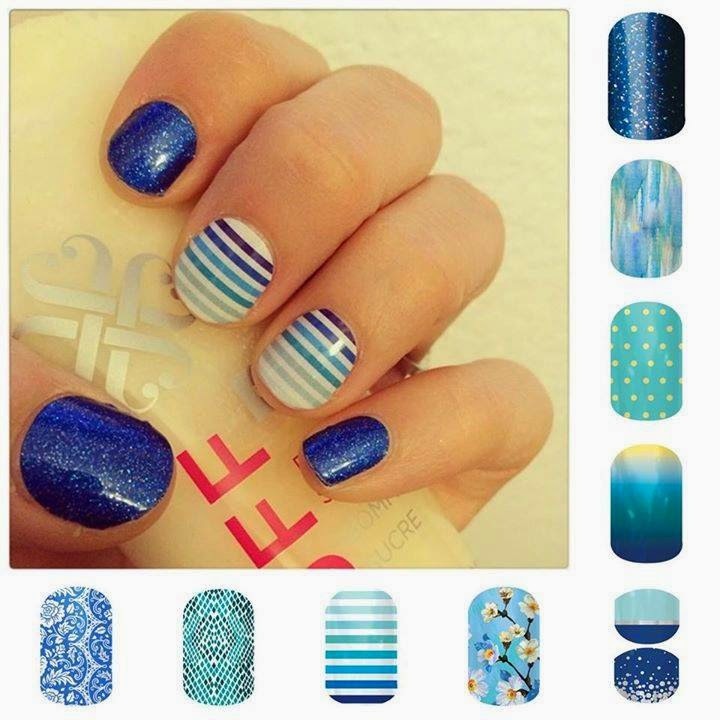 Jamberry nail wraps are a solid film covering that can be applied directly to the nail to achieve a look not found anywhere else. The special material is both pressure and heat activated to create a watertight bond to your nail. The film is finished with a protective layer that prevents your nail wrap from chipping or scuffing. This new nail treatment can be applied quickly at home on your own or with family and friends. With over 300 styles available you can always find the perfect look. They are made to last up to 2 weeks on fingers and 6 weeks on toes. Below are my very own fingers and toes after my very first application. They came out great, right? Below is what my fingers and toes looked like on day 10. No bad at all, especially since I usually can’t get though the first day with nail polish without a chip (or 6!) 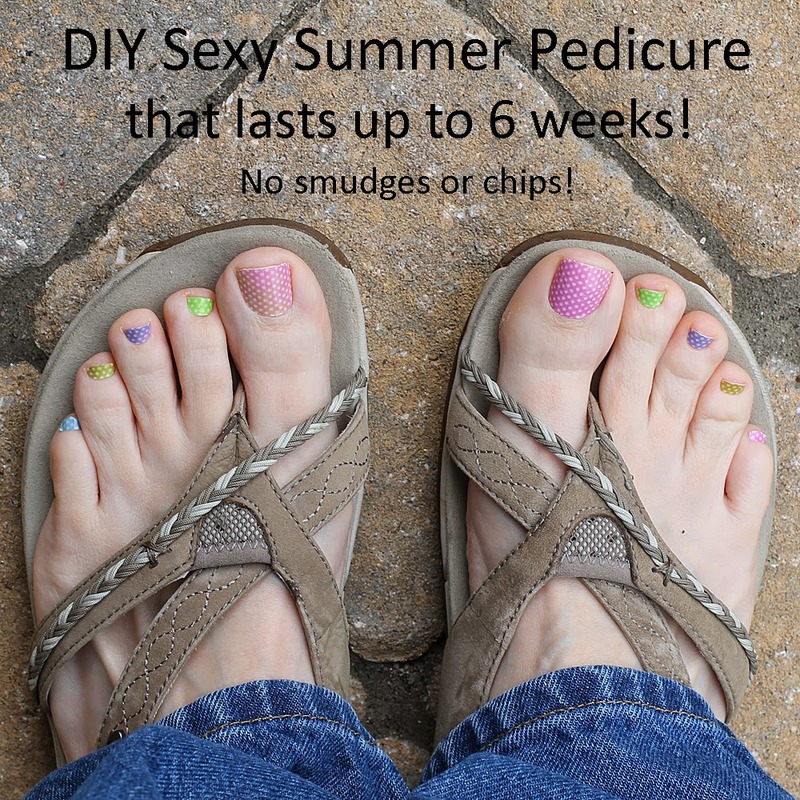 I applied these wraps to my toes on May 31st and it’s now June 20th and THEY STILL LOOK AWESOME!! I changed my fingernail wraps after 12 days mainly because I don’t like the look once they’ve grown out too far. I’m good with my fingers for 10-14 days. How hard is it to apply the wraps? Well, I’m glad you asked! It’s EASY!! Below you will find the official Jamberry application video. Each application will get faster and easier. Interested in hosting your own FaceBook or catalog party? Be sure to let me know! If you are excited about this great product as I am, I have a party going on right now. All you need to get started is a basic manicure set – nail scissors, clipper, file, orange stick which you probably already have, and a blow dryer for your heat source. Pick out a few sheets that you love and you’re ready to go. The BUY 3 GET 1 FREE is by far the best deal and if you select 4 sheets that coordinate, you can mix and match them for lots of different looks from just 4 sheets. Your order is processed as soon as you place it, it’s not held until the end of the party. 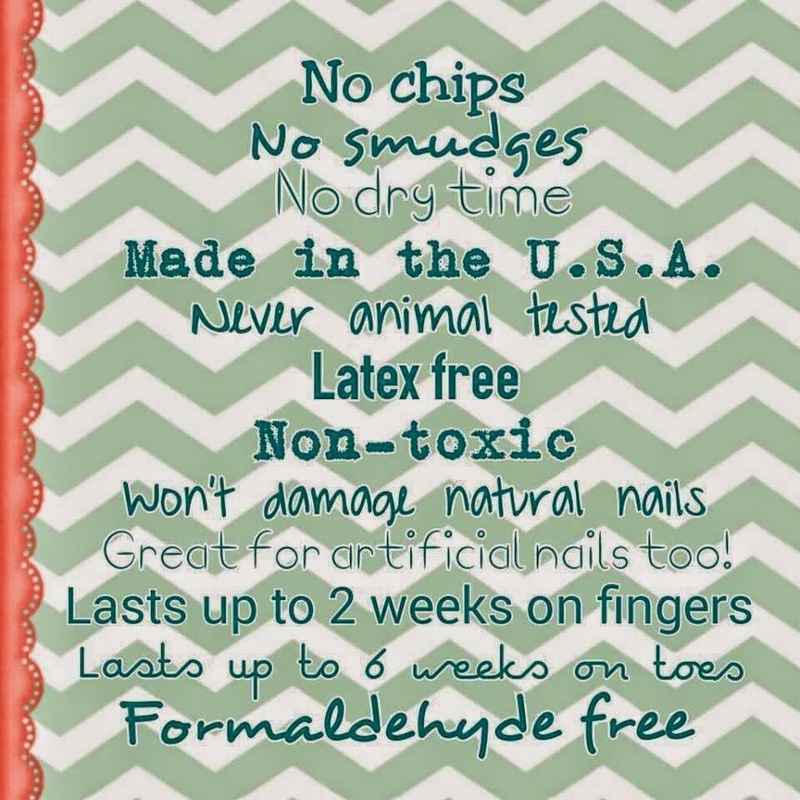 You’ll have your pretty nail wraps in 7 to 10 business days. If you have any questions, please feel free to ask. I’m always here to help – both before and after purchase. Jamberry Nail Lacquer is high end, salon quality lacquer. It goes on smooth, dries fast and lasts! AND it coordinates perfectly with Jamberry Nail wraps if you want to mix and match. Please feel free to leave any questions you have in a comment below. I will update this listing with answers and also email you directly if your profile includes an email address or you leave one within your comment. Thanks so much. Very cute! Love the patterns and polka dots!